Home Personality What Drives People To Become Spiritual? If you are interested in studying the human psychology, there are hundreds of things that must be running in your head at the moment. One of the most frequently asked questions is what makes people spiritual in their life. We live in an era where money is quite important to each one of us. No matter what we wish to do in our life, we need money for the same. Yet, in such circumstances, there are people who are least bothered about how much they earn and what they do with all the money that they have in their bank accounts. To their surprise, the money keeps doubling, even though they are not bothered about their earning. Sometimes, all you need is a push to the darkness to see the light emitting from your Heart Chakra. When you are pushed to the darker side of your heart after a bad break breakup, you notice that meditation helps in healing your wounds. Death is tragic; it is traumatic. When you lose a parent or a guardian, you notice that there is absolutely nothing else that can pull you out from your sadness and dilemma than meditation. When you meditate, you automatically transform yourself into a stronger and spiritual person in your life. Have you ever had a pet? Have you been close to them? Coping up with the death of a pet is as difficult as coping up with the death of a human being in your life. Pets are closer to us because they never get upset with us, no matter what we do. When you lose a pet, you can hold the hands of meditation and spiritualism to cope up with the trauma. At times, we are bound to get dreams that change our perspective on different things in our life. A few dreams can lead us to spiritualism and enlightenment. 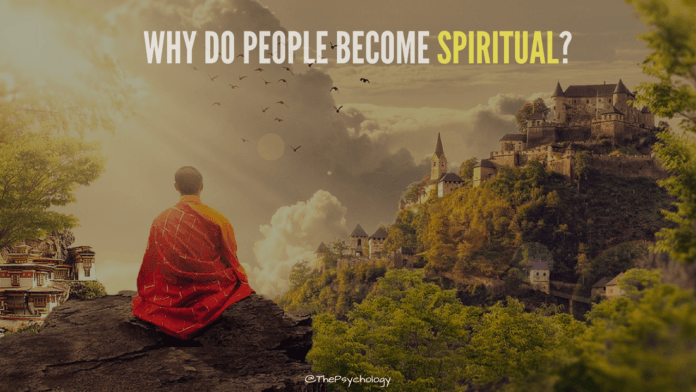 This is one of the most common reasons why a person turns spiritual. You may notice two best friends meditating together. You may also notice that if a grandparent meditates in the family, the grandchild is bound to get attracted towards the practice and adapt it to their life. Being spiritual is one of the most beautiful things that can happen to someone. When you are inclined towards your spiritual self, there is a lot of contentment and satisfaction in your heart. You feel good about whatever you do, no matter how big or small that thing is. Also Read: Getting Divorced? Be Prepared For These 10 Things! Keep visiting for more and tell us in the comments below if it relates or if you want to add something.